Talk about a Rollercoaster – Erins Journey to Motherhood. I did not sleep at all last night, and in the middle of that sleepless darkness sobbed quietly to myself soaking my pillow, I was supposed to go back to work today but they are very understanding, as there are quite a few ivf parents where I work. Ok this is the first time I would say I’m getting abnormally emotional on hormones. Hormones plus the fack that I was very stupid and brought some of those cheap ebay hcg tests. So so very stupid. Oh and not just the tests but all the forums and blogs I have been reading. Ok so, 8dp6dt, my bleeding seemed to get a little heavier last night before bed and my stupid tests have been telling me negitive. This morning the bleeding seems to have stopped (knock on wood) I peed on a stick, it had 2 little dimples a flaw in the manufacture, but it seemed to come up with a very faint line. 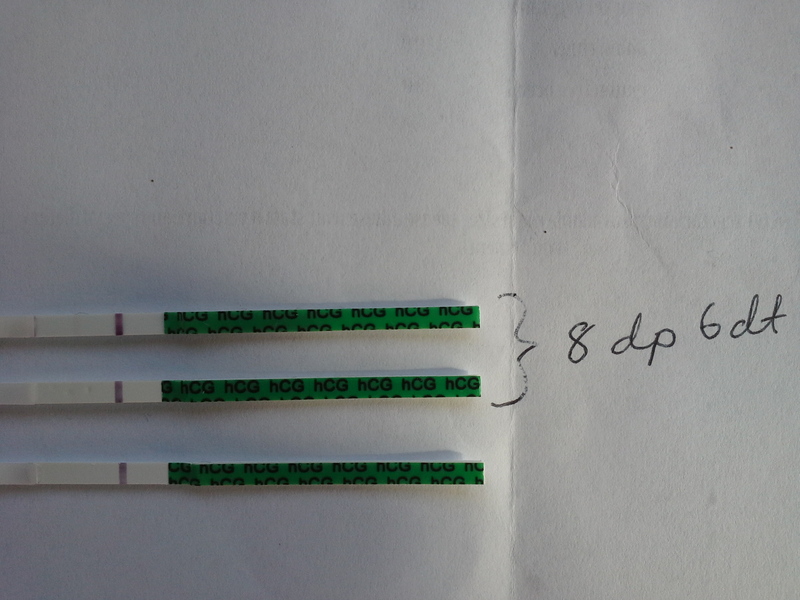 Went back to bed and had a think about it then an hour later tested again, and yup definitely a faint second line, I still don’t know if I should trust this. So tired, need some sleeps, later I might go and buy a better test, more sensitive. Last night I was solidly prepared to write an “it’s all Over” post this morning.